I was a bit stuck for photos this week and then the sun shone today and suddenly it all seemed easier but nonetheless haven't been overly inspired as you can tell! 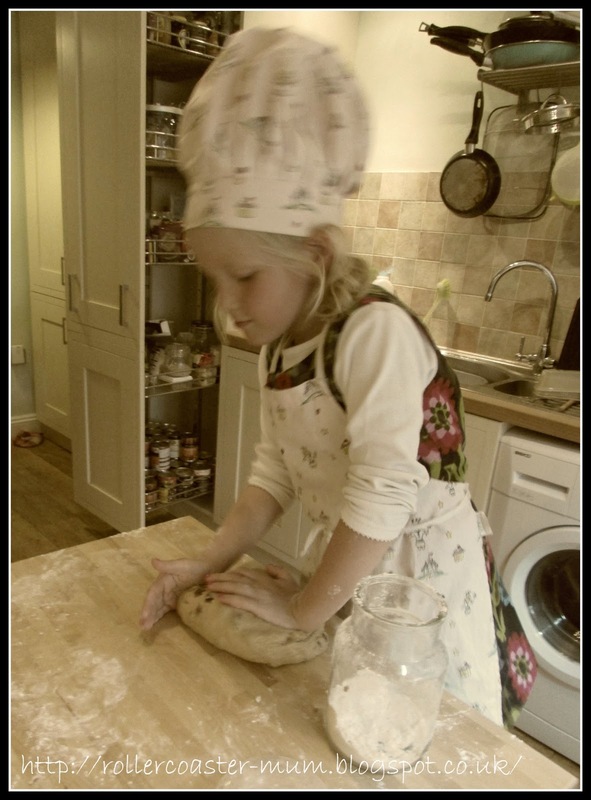 Whilst Bigger Miss was still gallivanting away with the Brownies at Butlins, Little Miss and I decided to make another recipe from Paddington's cookbook - this time it was Iced Sticky Buns. They turned out pretty well (although they did take ages to do) but I failed to take any pictures of the finished product so you have Little Miss kneading. Bigger Miss returned on Sunday night full of stories of Butlins and with another two badges for me to sew on, just to add to the other three (all enormous) badges that I needed to sew on to her gilet - that was Tuesday night's job - took me bloomin' hours! Ubiquitous flower shot - it's that Elephant Eared Saxifrage again. Thursday brought two nice surprises from the postman. 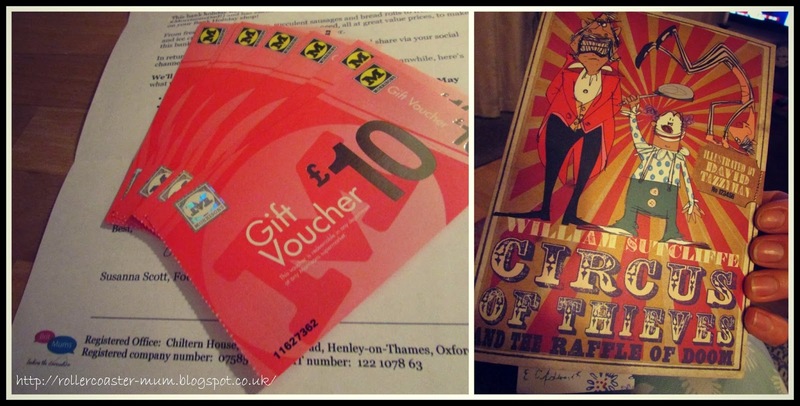 I was thrilled to have been picked as one of this weekend's #MorrisonsMum's and to get some vouchers to shop at Morrisons with this weekend. There was also a book for Bigger Miss and me to review which I have already started to read. Love it when the postman brings nice stuff. 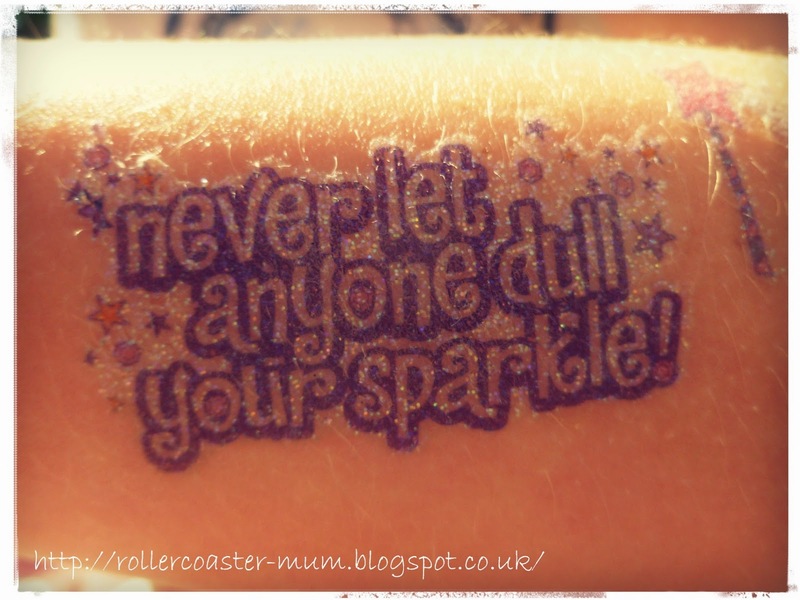 Little Miss had two parties this weekend, one being a pyjama and film party with the addition of tattoos and nail polish - pampering for six year olds. She came home with this tattoo which is very appropriate for her! We've had quite a lazy Bank Holiday Weekend just chilling out mostly. We seem to spend so many holidays and weekends away or busy that it's quite nice just to chill out in our own garden - especially when the sun is shining like it did on Saturday. We got the bubble mixture out and the girls thought I was amazing for blowing big bubbles - glad they think I'm good at something! A lovely week and I want that tattoo! I must admit that 5 months in and I've found Project 365 tricky on some days too. Well done on sewing those Brownie badges on, I've got more than a dozen cub ones stacking up here! 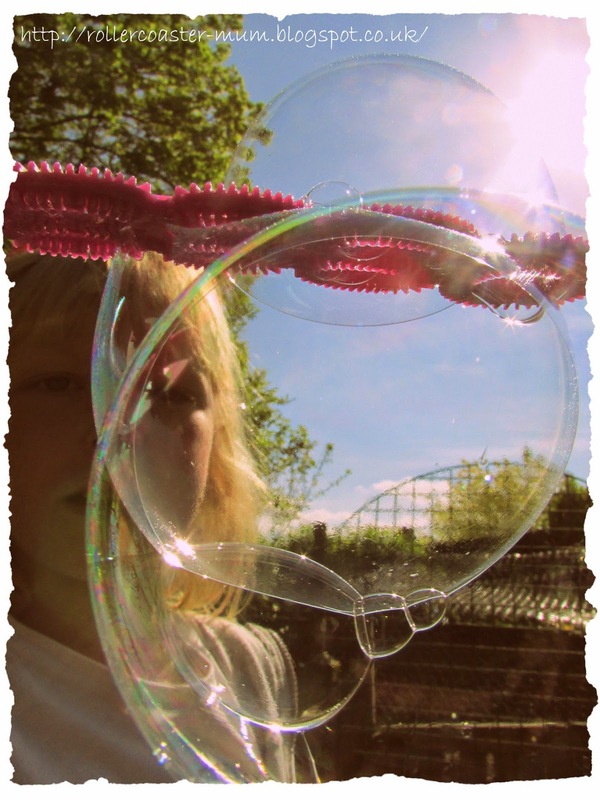 Lovely bubbles shot! She is doing a great job with that kneading! Pah! 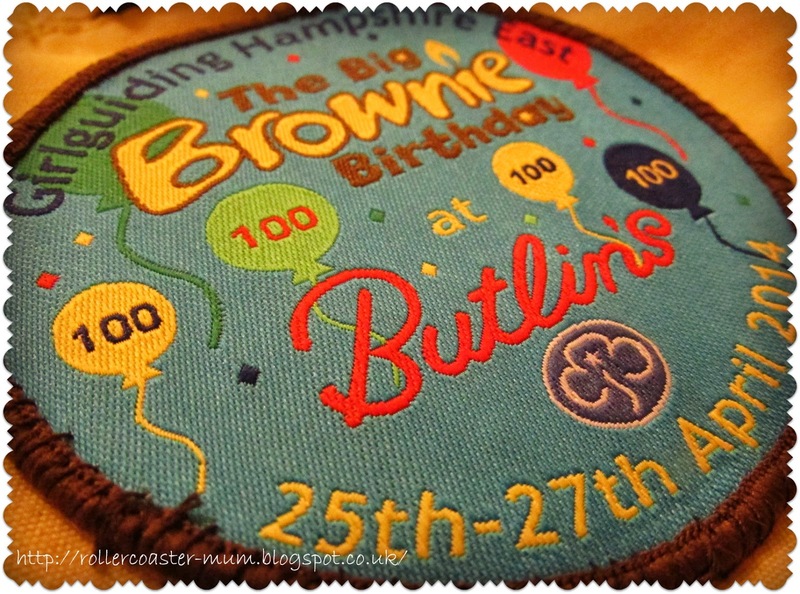 We were meant to be having a Butlin's Ambassadors meeting in Bognor Regis that weekend but the place was over-run with Brownies and they relocated it to Skegness, boo! However, hope she had an amazing time. 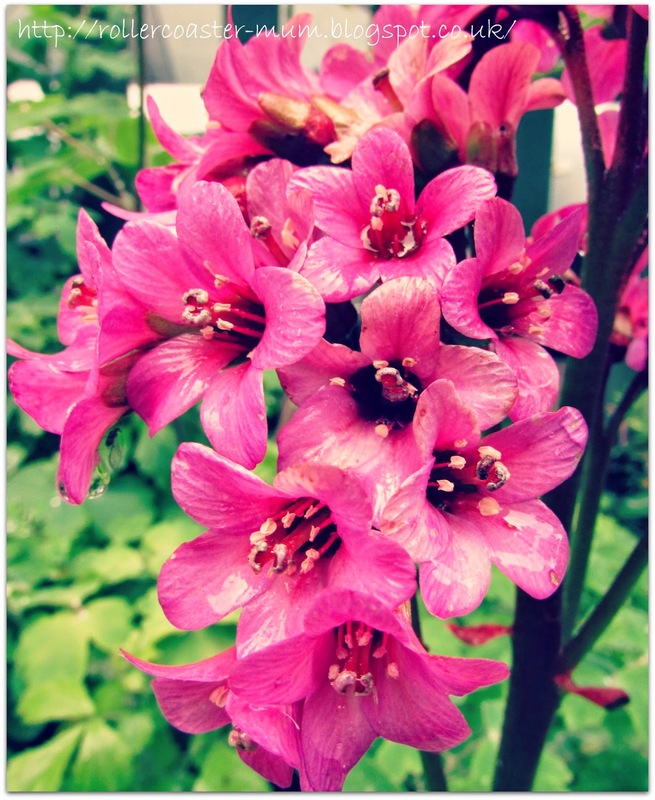 Thanks for linking up to Project 365, the new linky is now live.